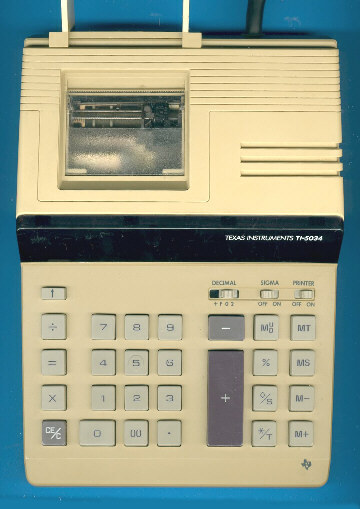 The TI-5034 was introduced in 1984 and continued the design line of the TI-5040 II. In 1989 the design of the calculator was slightly changed, don't miss the new TI-5034. The internal construction of the TI-5034 is centered around a Mitsubishi M58345AP single-chip calculator circuit. © Joerg Woerner, February 28, 2004. No reprints without written permission.